The Vineyard 5-Piece Chat Set with Fire Pit Table seats up to four in Vineyard Deep Seating Chairs that offer ample support to keep you feeling cozy for hours. Provide a casual comfort for your outdoor space with coordinated cushions and pillows that are quick-drying and weather-resistant. The party doesn’t wind down when the sun sets. 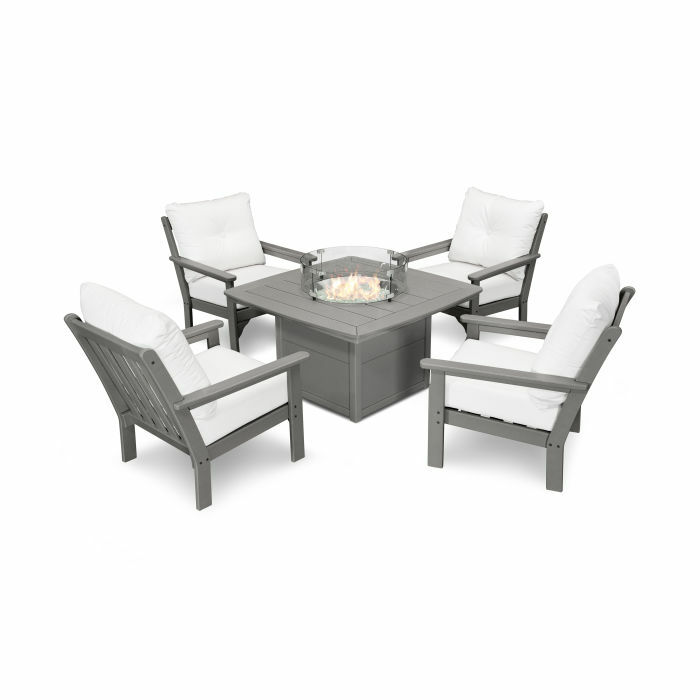 Keep the conversation flowing through the night with the versatile Vineyard 5-Piece Chat Set with Fire Pit Table. With the press of a button a roaring flame greets you and your closest friends and family so you can catch up, swap stories, and bask in the glory of your own backyard.